Anyone who grew up in America in the late 20th Century had to be aware of Dan Rather’s fabled run of 24 years as the anchor of the CBS Evening News. Myself, I’ve been a fan ever since that tough Texas correspondent bearded the wily Richard Nixon at a presidential news conference in 1974, shaking Nixon’s aura of unassailability – and wound up asking Nixon many of the toughest, direct questions he ever faced about the Watergate scandal. For the record, Rather tackled that task many years before David Frost tried to do it. 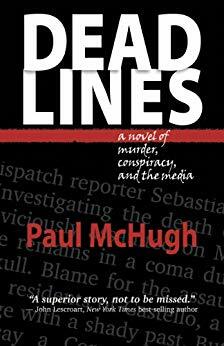 So when I completed my new novel, the media murder mystery, “Deadlines,” Rather was my furthest-out, long-shot hope of scoring a memorable endorsement. I thought, no one in the country knows more about news and reporting than Dan Rather. He remains our preeminent television journalist. So if Rather reads and likes my book, that should provide one helluva boost to my project! You see, in addition to writing a good tale and a good mystery, I also wanted to document and celebrate newsrooms, and the distinctive ways that they operate. Wow. Über-newsman Dan Rather not only liked it, he used variations on the word, “true,” twice to describe my story! I wanted to thank him for his endorsement, and in some more direct and immediate way than simply sending a note back through his staff – though of course, I did that too. My eye happened to fall upon an ad in the San Jose Mercury News, announcing that Dan would be a special keynote speaker at an annual benefit breakfast for the Shelter Network, at a hotel in Burlingame, on Oct. 8. Perfect! My wife and I bought two tickets. The Shelter Network, which provides housing and support services for homeless families, evidently is the sort of charity that appeals to Rather, who grew up a blue-collar home in Texas during the Depression and never forgot that experience – or what it meant, or how decent folks ought to respond. In his 20 minutes in the limelight at this breakfast, Dan gave an amusing talk about his early years in the news business, followed by a heartfelt plea for generous support for the Shelter Network cause. 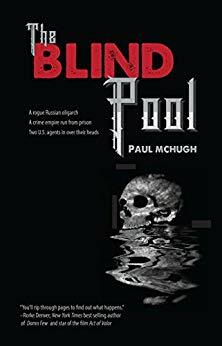 As this breakfast drew to a close, I made my way toward his table, near the speaker’s platform, but suddenly he stood and was ushered out . . .